Managed Pressure Drilling is a key growth area in the quest to enhance safety and efficiency while drilling complex wells. While MPD facilitates drilling in narrow windows, it is the cementing of tubulars in a circulating environment with multiple fluids that represents the biggest challenge and results in losses. Managed Pressure Assisted Cementing can bring significant benefits: Casings can be set deeper, tighter clearances between casing OD and hole size, cement can be displaced at a higher rate without losses. The presentation describes an empirical methodology developed for MPA Cementation of liners and casing strings in narrow-margin environments while accounting for the unknowns such as hole washout, channeling, fluid mixing and the impact of centralizers and eccentricity. Also discussed, the required equipment configuration, execution best practices and risk assessment of using a drilling fluid with reduced density in the annulus. Case studies will illustrate the technique and results. Robert graduated in 1986 with a degree in Mechanical Engineering. He is currently a Senior Managed Pressure Drilling Advisor for Blade Energy Partners working to build MPD technology into a platform rig in Norway. 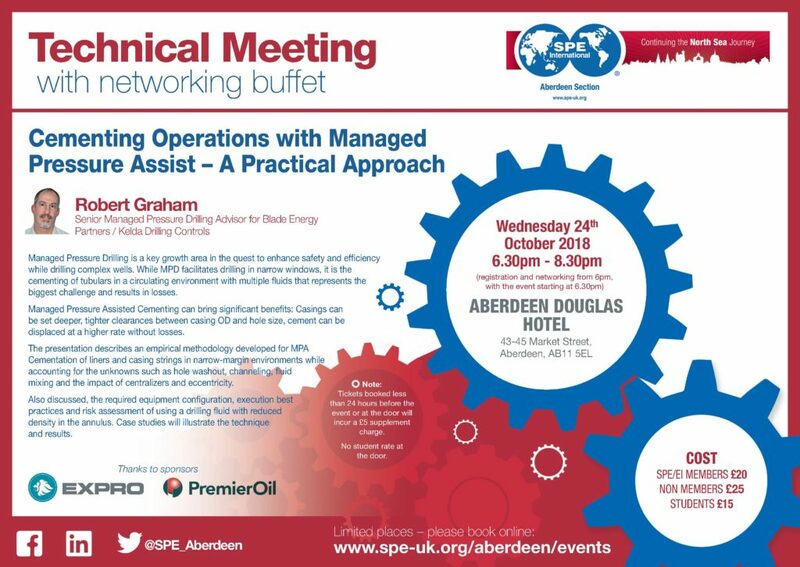 In addition, he is Chief Advisor at Kelda Drilling Controls, specialising in system functionality and bespoke MPD training. Most recently, he has been Senior Drilling Advisor for a challenging HPHT campaign in the North Sea and acting MPD Subject Matter Expert for Shell Global Technology. Robert has held various leading technical and managerial positions in several oil companies and service companies over the past 30+ years, including Mobil Oil, Fracmaster, Schlumberger, Precision Drilling, Dong Energy, Statoil and Shell. 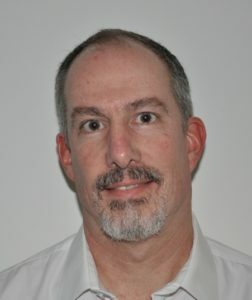 He has specialised in advanced drilling techniques such as coiled tubing drilling, underbalanced drilling and managed pressure drilling over the past 25 years and has significant technical, management and operational experience from state-of-the-art projects worldwide, including multiple patents.